It could be a clue on "Jeopardy!" "This TV celebrity promoted a product by misleading parents into thinking their kids would become super-smart by using it." 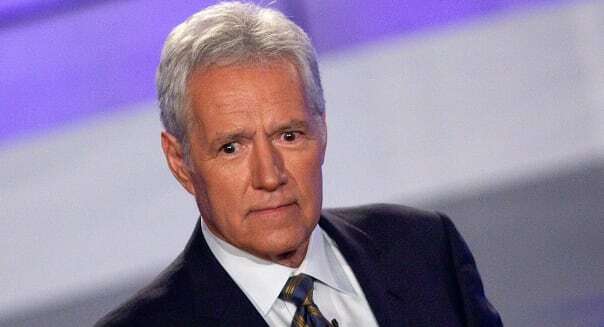 Question: Who is Alex Trebek? An education company whose products were hawked in an infomercial by "Jeopardy!" host Alex Trebek has settled charges filed by the Federal Trade commission accusing the company of deceiving parents about how well it would boost their children's school performance and test scores. The FTC said on Thursday that WordSmart boasted that 20 hours of use of its program would raise kids' GPAs by a full point, and their SAT scores by 200 points. GRE and GMAT scores supposedly would rise by 100 points. Kids, ads claimed, would learn 10 to 100 times faster after using the program. But the FTC says there was no truth to those claims, and that the company had no evidence to make them. Under the agreement with the government, the company and president David Kay promised to not dupe consumers about "the benefits, performance, or efficacy of their educational goods or services, including claims that the products will help students learn faster, improve reading speed, or increase grades, IQ scores, or test scores." It also comes with an $18.7 million judgment, but as long as the defendants pay $147,400, they'll be off the hook for the rest, the FTC said. "Whether you want to increase your knowledge, improve your grades, get into a good college, earn a higher income or simply go further in life, stay tuned, because it's time to join the Wordsmart phenomenon, just as hundreds of thousands of people already have," Trebek boasted in the TV commercial. "Don't miss your chance to take the Wordsmart challenge and see for yourself how Wordsmart can help any student read, write, and speak better in just 30 days. Guaranteed." And, the FTC also said there was nothing behind that promise of a full refund after a 30-day trial. WordSmart programs sold for $15 to $300, the FTC said, and the company took in more than $18 million since 2010. In addition to hollow claims made by Trebek and the company, WordSmart was also spanked for trying to sell the product over the phone to people who were on the federal Do Not Call registry. Telemarketers even used the names of children when trying to push the products on parents who answered the phone, the FTC's complaint said.